Bones In Her Pocket e-Short Released! Hey fans! There’s a lot going on this month, so let’s get to it. My first ever Temperance Brennan e-short — Bones In Her Pocket — is available through online retailers everywhere, starting today! Get it on Amazon now (UK customers click here). And look for my next full-length novel — Bones of the Lost — on August 27th. Tempe’s examination of a mysterious hit-and-run victim triggers a harrowing investigation into the world of human trafficking. Pre-order today! 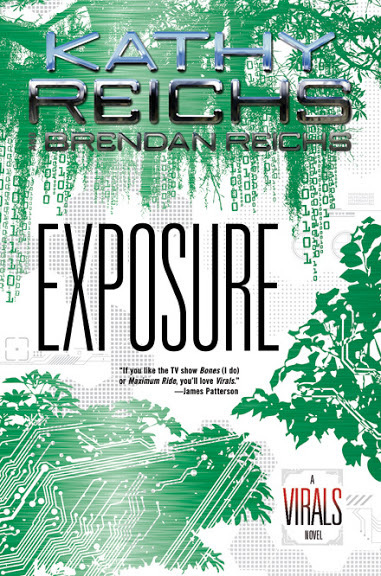 Last but not least, the next Virals adventure — Exposure — is coming in March 2014. Here’s an exclusive first look at the cover! Be sure to visit ViralsTheSeries.com to keep up on all the details.